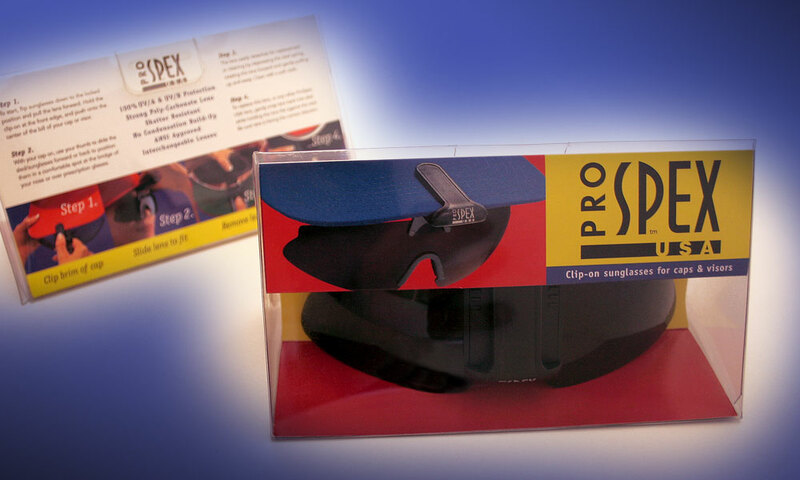 Sportacular is the maker of ProSpex USA – revolutionary clip-on adjustable sunglasses for use with any standard ball cap. Although the had developed the ProSpex logo, BrainShine designed the corporate logo ant letterhead. We then set to work creating retail packaging for the product and also created the instruction booklet inside and tradeshow booth graphics. 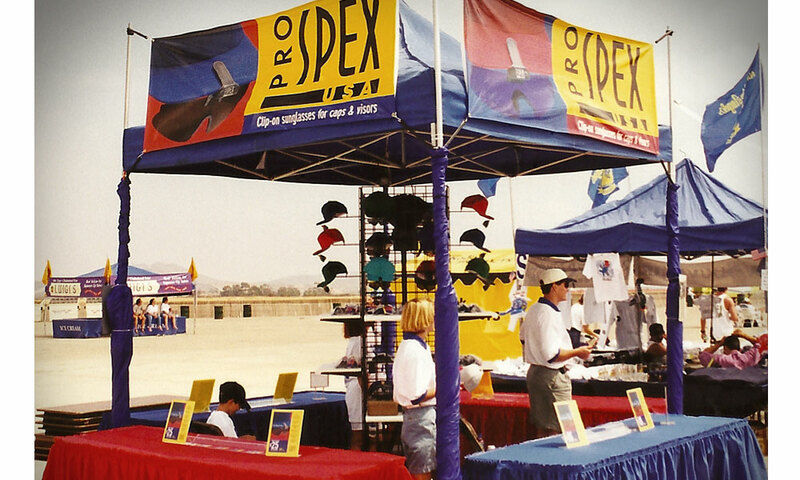 We selected a unique shape and wrapped the product in a see-through plastic so shoppers could distinguish the sunglasses from others in the market. 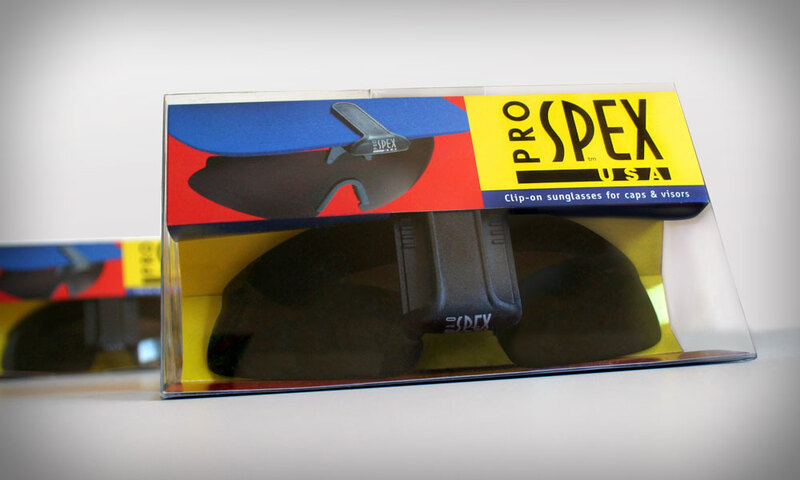 Sold through sporting goods centers, ProSpex USA offered an alternative for those who wear prescription glasses or just wanted a lightweight alternative to over-the-ear style sunglasses.